A good axe is something that every zombie survivor should have. 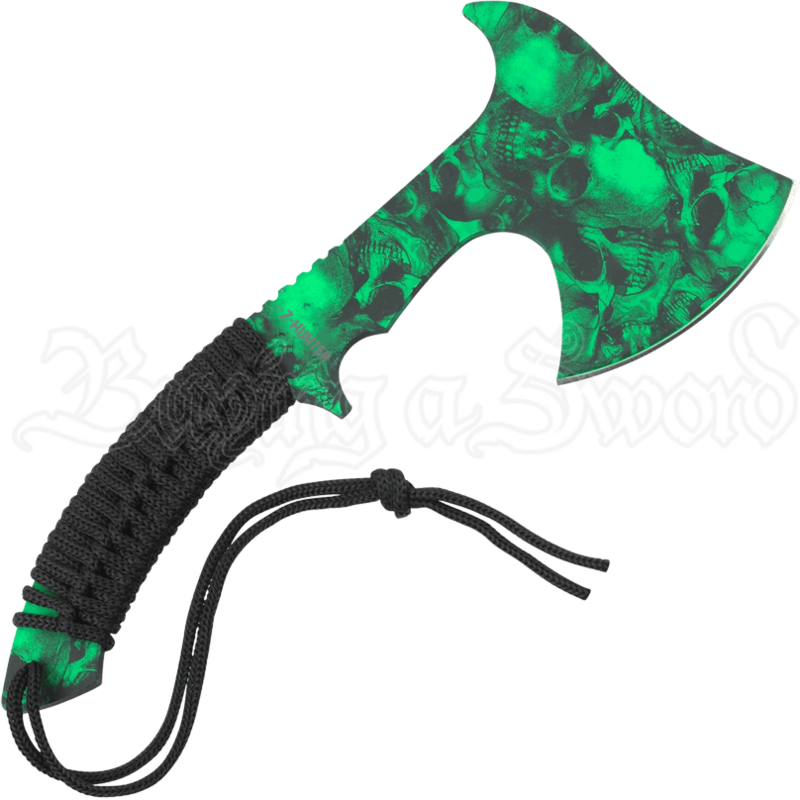 Now, that does not mean that everyone should carry a firemans axe, because for most survivors, an axe as small as this Z-Hunter Green Skull Hand Axe will serve their needs perfectly. Why an axe? Because an axe can do things that a knife cannot, and this makes it the perfect companion to any good survival knife. 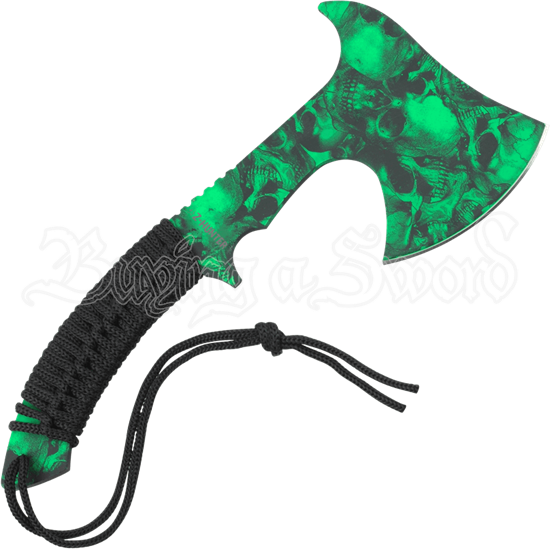 This impressive little hand axe features a big dose of zombie style, thanks to its bright green skull camo coat. Stainless steel construction keeps this axe fairly hardy, though, and its traditional design, with a curved pit and a gently angled poll, ensure that this axe is as awesome to look at as it is useful to have on your belt when you are surrounded by zombies. The cord wrapped haft ensures plenty of comfort and grip when wielded, while the black nylon sheath makes it easy to carry and transport. And best of all, it is rather light-weight, which means you can add this Z-Hunter Green Skull Hand Axe to your zombie survival kit without any worry of it slowing you down. In fact, it will just add to your efficiency and style as a zombie survivor.